Private Richard Charles Adnitt of the 6th Battalion, Northamptonshire Regiment who was killed in action in November 1942 aged 24 years. 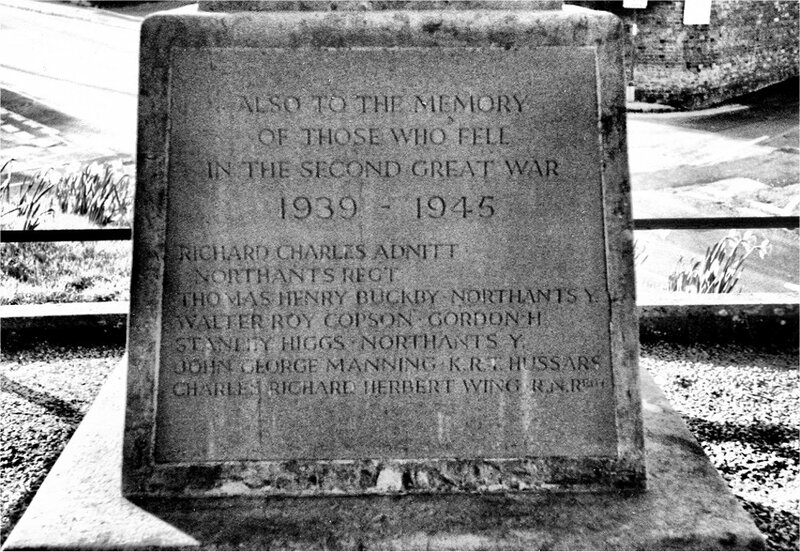 He is buried in a Commonwealth War Grave in the old Spratton Cemetery on the Brixworth Road and was the son of Richard Adnitt and Susan Adnitt. (No connection found with Adnitt drapery in Northampton per Charles Matts). Corporal Thomas Henry Buckby of the 2nd Northamptonshire Yeomanry, Royal Armoured Corps, who died in July 1944 aged 24 years in Normandy. His name is recorded on the Bayeux Memorial, France. He was the son of Harry Buckby and Kate Buckby. Private Walter Roy Copson of the 5/7th Battalion, the Gordon Highlanders, who died aged 21 years in January 1945 in Normandy. His name is recorded on the Bayeux Memorial, France. He was the son of Mrs. F Copson. Trooper Stanley Higgs of the 4th Regiment, Reconnaissance Corps, Royal Armoured Corps, who died in November 1944 aged 26 years in Italy, during the advance from Rimini to Forli across flooded rivers in atrocious weather. He is buried in the Cesena War Cemetery, Italy and was the son of William Higgs and Mary Higgs. Sergeant John George Manning of the 8th King's Royal Irish Hussars, Royal Armoured Corps, who died aged 25 years in April 1945 in the Rhineland, Germany. He was the son of George Manning and Eva Manning and is buried in the Rheinberg War Cemetery, Germany. 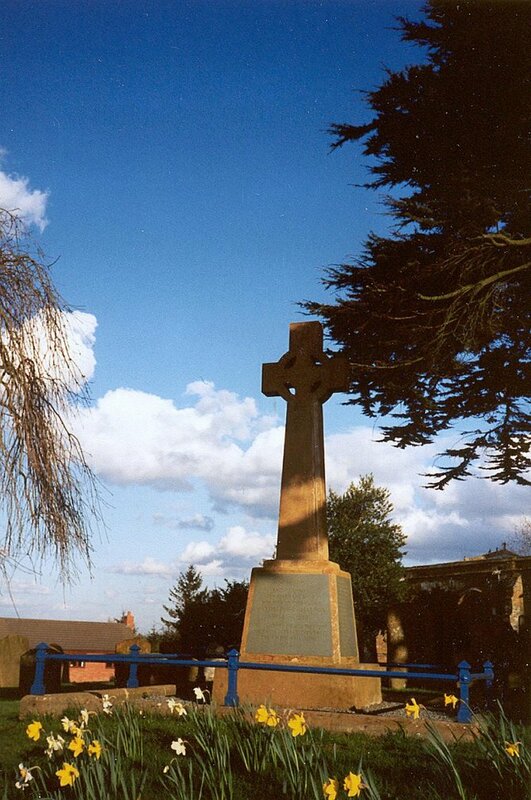 The War memorial was unveiled on April 3rd 1921 by General Lord Horne, G.C.B., K.C.M.G., and dedicated by the Vicar, Rev. George Raw. The Celtic Cross, of Hornton Stone, was made by Messrs. J.G. Pullen and cost £177-6s-0d. It was refurbished in 1992. 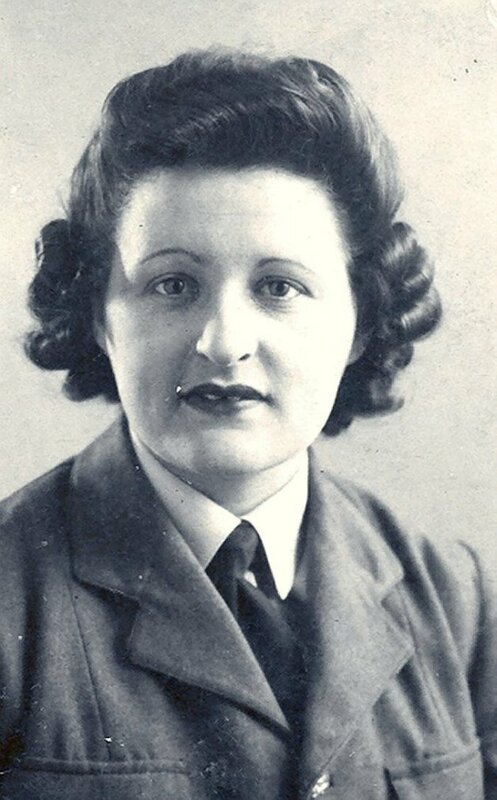 1940s - Gertrude Bannister (Gertie) as a section leader in the war. She and her husband Harry were licensees of the Chequers. 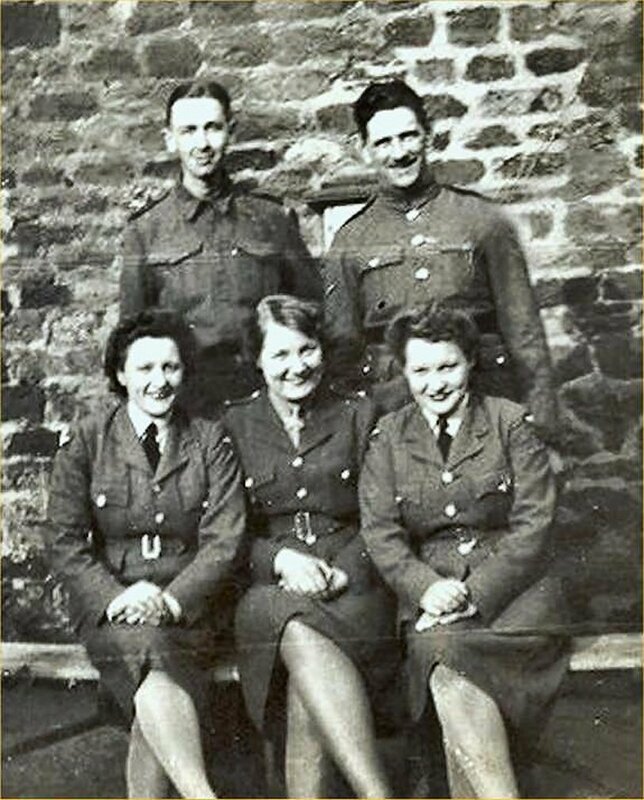 1940s - Men billeted at Spratton Grange, which was requisitioned by the Army in 1939. 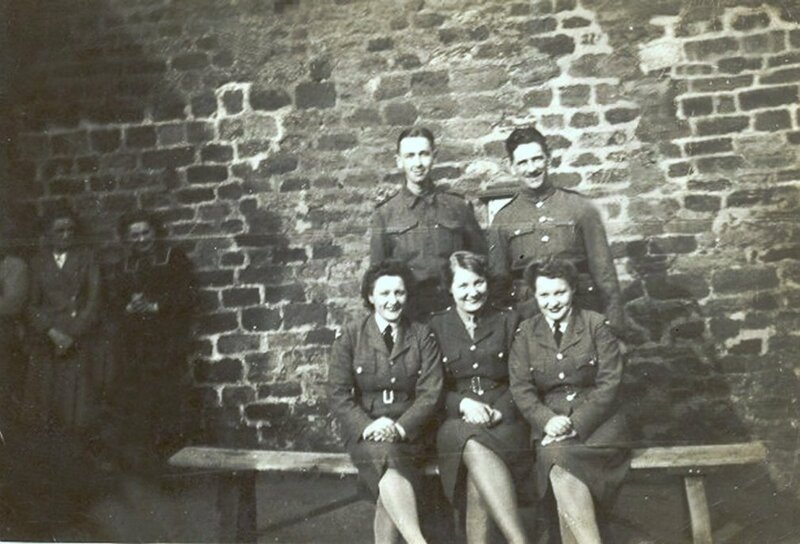 The Home Guard was formed in 1940 when there was a real danger of invasion. They were needed to delay the enemy for long enough for the regular army to come and take over. 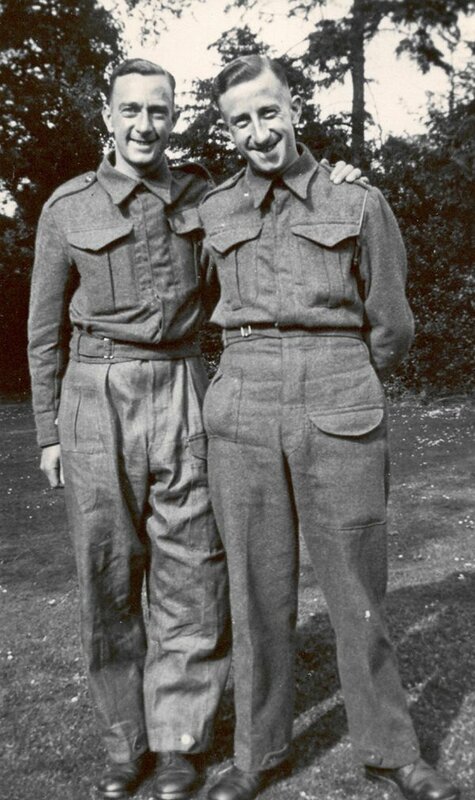 Volunteers for the Home Guard were those men who were either too old or too young to enlist or those in 'reserved' occupations (jobs vital to the war effort). To begin with their weapons were anything they could lay their hands on, but later they were issued with more conventional rifles. 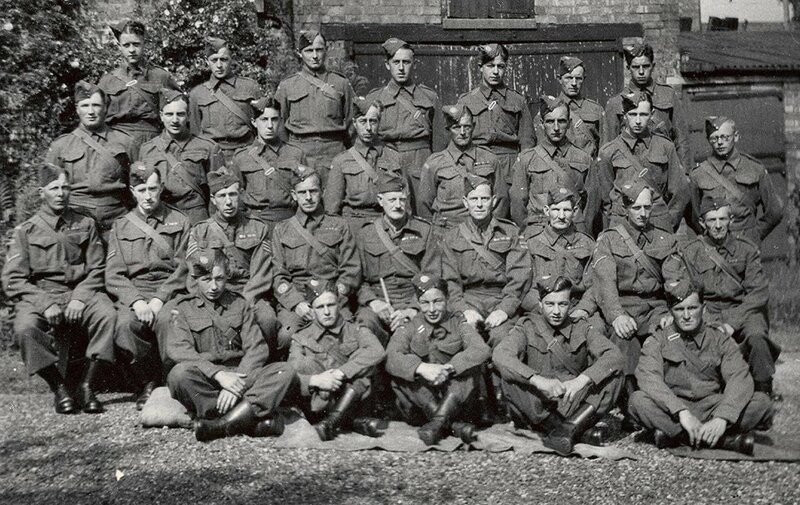 By the end of June1940 over one million men had volunteered for the Home Guard. In Spratton it was the task of the Home Guard to patrol the village and to guard important spots from Creaton to Brixworth. 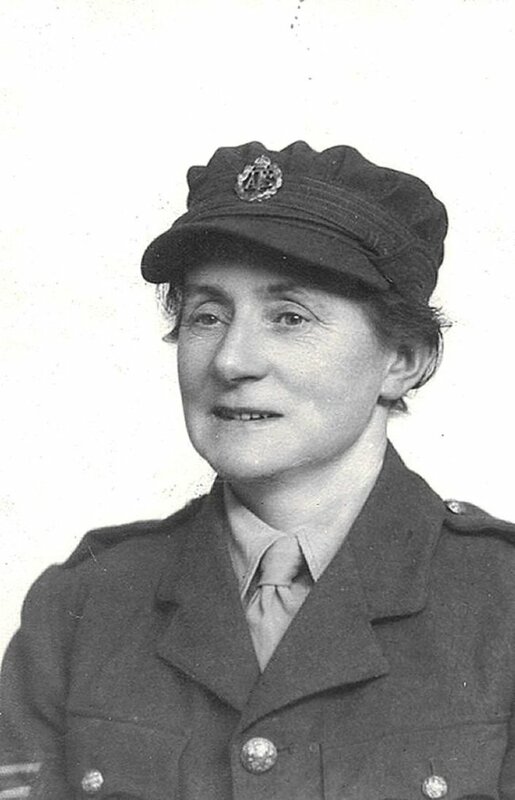 Among those who volunteered were veterans of the 1914-18 war (Archibald and Ebenezer Copson), shopkeepers (Percy Richardson) and landlords (Ernest Bryant of the Fir Tree). Major Flint (formerly of 20th Lancashire Fusiliers) was in command with the landlord of the Fir Tree as his Second in Command. Apparently Major Flint stored bombs in the outbuildings of his headquarters and home 'Rathgar' (now the Old White Horse Inn). Despite his assurance that the detonators were missing, his neighbours were not amused! 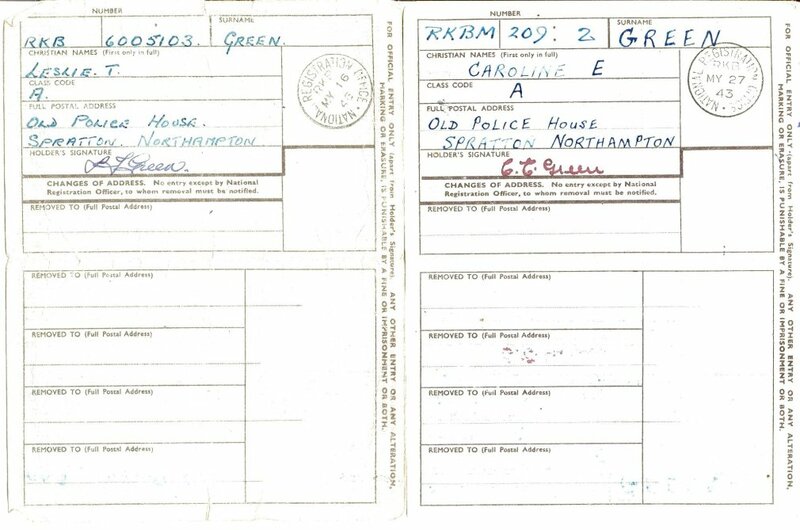 The Home Guard was disbanded in December 1945.